After you have seen all of Istanbul, there is still more to see. To make sense of that seemingly contradictory proposition, I had left Galata Tower and Taksim Square for the last on my itinerary. After three consecutive years of visits that had covered miles of wandering in the streets of the city, I wanted to see more. What better way than rounding off the series with a bird’s eye view that captures much of history and geography, and then to feel the pulse of a city that beckons you to visit yet one more time. Fatih, Yusuf and Tugrul, three eager young Turkish Air Force Academy cadets, part of a group detailed to look after the visiting delegates, joined me for a weekend jaunt to see the city’s remarkable history come alive in an incredible panorama. 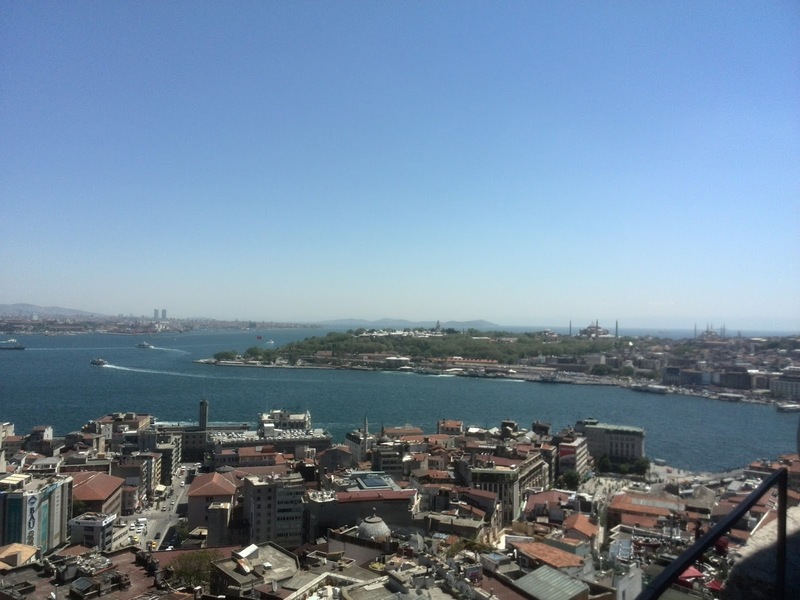 After waiting in line for the steeply-priced tickets at the base of Galata Tower for about twenty minutes, we decided to forego the lift and use the spiral stairway, huffing and puffing our way 150 feet up to the observation deck. The sooner we reached the café on the uppermost floor, we were utterly surprised by a little five-year old girl who was following us up the stairs. She was beaming delightfully for having accomplished what the hardened military men plodding ahead of her had done with so much effort. 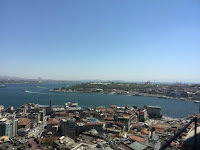 Galata is a former Genoese quarter of old Istanbul (Constantinople) across the Golden Horn waterway. This neighbourhood was actually a walled Genoese enclave within Constantinople, having been ‘granted’ to the powerful Republic of Genoa by the Byzantine Emperor in 1267. The enclave was fortified by a now non-existent citadel, and the landmark Christ Tower (as it was then known), was built in 1348 to reflect the influence of the Genoese in the Byzantine capital. In the midst of plagues, earthquakes and fires, the tower had stood witness to the sorrows and the sufferings of humanity. It was no wonder that it got converted into a fire look-out after yet another devastating firestorm swept the city at the beginning of the 18th century. Now, happy times were here, it seemed, going by the merry hordes of tourists whose waiting lines could be seen snaking far into the streets below. 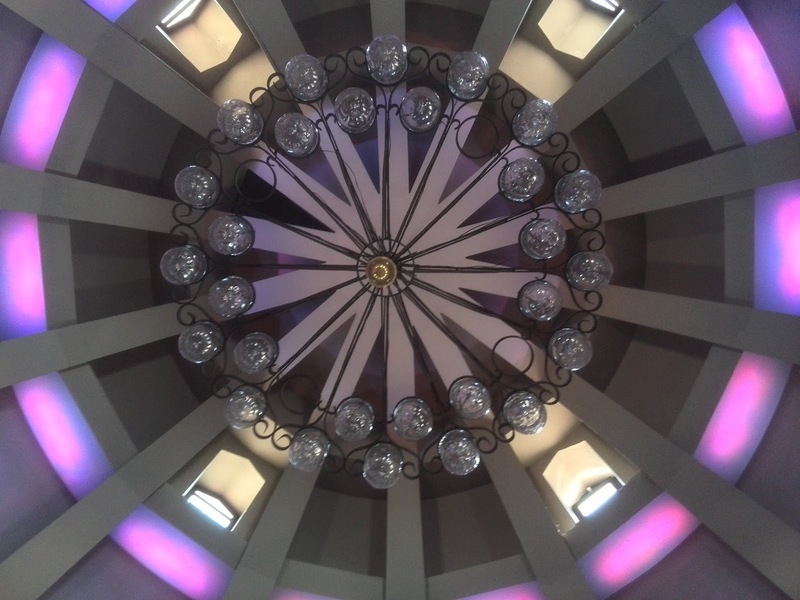 To us, it was an observation tower that brought into view the shimmering waters of the Bosporus, the seraglios and palaces of the Sultans, the slender minarets of exquisite mosques, and the terra-cotta tiled rooftops harking back to the Mediterranean cities that were once part of the Ottoman Empire. 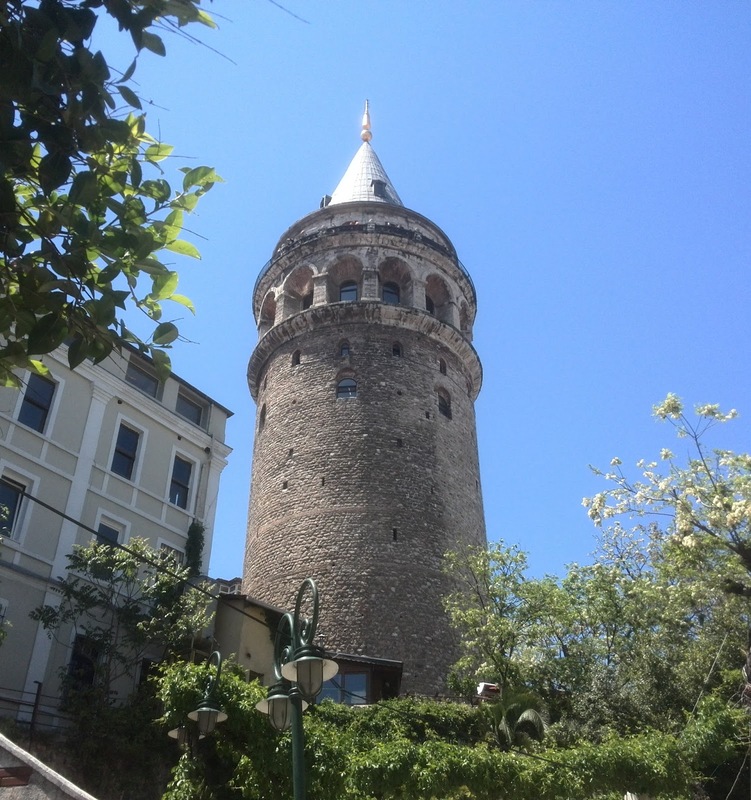 The tower also found use as a prison during the reign of Sultan Suleiman the Magnificent (1520-66). It was put to more productive use as an observatory by the royal astronomer Takki-uddin Effendi towards the end of the sixteenth century. 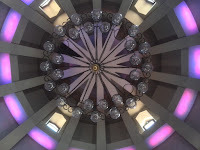 The observatory was helpful in scheduling royal events in accordance with favourable astrological conditions, as well as visual moon-sighting for Islamic festivals without any fuss. 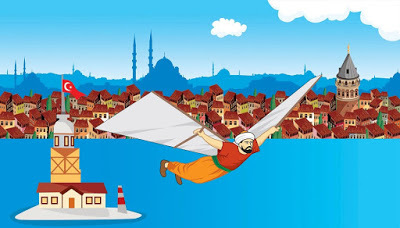 Fatih, Tugrul and Yusuf, who had not yet started their flying training, brought up the subject of how much fun it would be to jump off the tower in a hang glider. I was not sure if they were hinting at the legend of their very own Turkish birdman, but I knew that every tower had a tale or two about intrepid characters who had broken more than a limb trying out man’s eternal dream to take to the skies. Being a flier myself, I took delight in relating the story of the ‘man with a thousand skills’, Hezarfen Ahmet Chelebi who had flown across the Bosporus on eagle’s wings glued together, turning him into a birdman. After nine short trial runs, he fearlessly jumped from the tower as the Ottoman Sultan Murad Khan was watching from his nearby mansion, sometime in 1632. Landing in Uskadar after a three-kilometre ‘trans-continental’ flight without as much as a scratch, he was feted with a sackful of gold coins by the Sultan. To his discomfiture, Chelebi was soon to learn that he had been sent into exile by the capricious Sultan for his ‘ability of doing anything he wishes’. Perhaps, the farsighted Sultan was scared by the thought of Chelebi flying into his palace grounds, and overthrowing him in a first-ever regime change through air power alone! The story of Chelebi’s feat has great currency in Turkey, I was told by the cadets. After all, Istanbul’s third airport is named after Hezarfen for good reason. 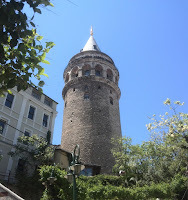 If Galata Tower looks like the crowned head of Istanbul, Taksim Square feels like its throbbing heart. 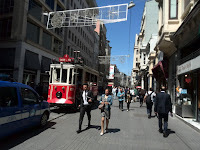 The artery connecting the two is the famous Istiklal Avenue, largely a pedestrian-only street, except for the historic tram that runs up and down its one-and-a-half kilometre length. 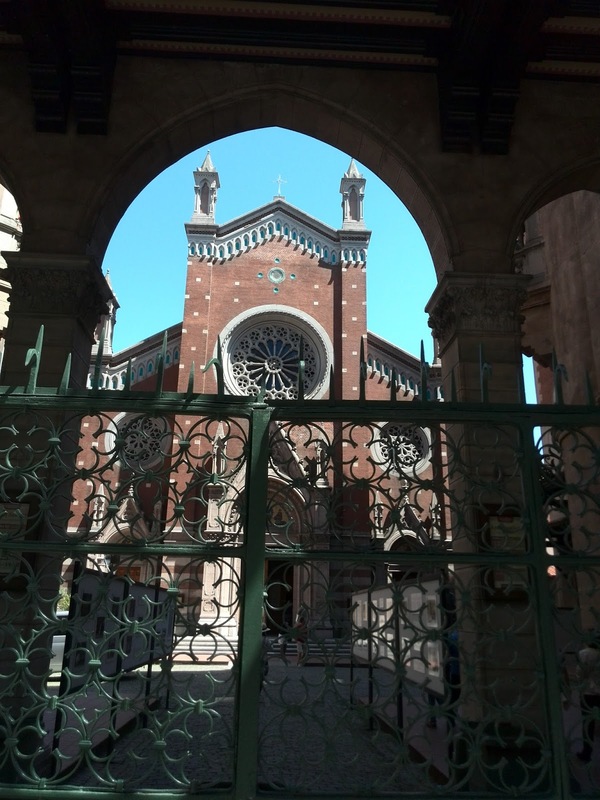 We decided to walk along the avenue lined with trendy boutiques, cafés and pubs, cinemas and theatres, and many churches, mosques and synagogues. Every once in a while a tram would slowly rumble past, with a ringing bell warning pedestrians to keep clear. I had seen similar trams in Karachi of the sixties, but sadly, none could be kept operational as traffic increased enormously, while no one had the good sense to limit a few roads to pedestrians and heritage trams. We passed by the Church of St Anthony, the largest Roman Catholic church of Istanbul. That one of its preachers rose to be a Pope (Pope XXIII, 1958-63) came as a surprise to me. He was fondly called the ‘Turkish Pope’ for his fluency in Turkish, though his association with Turkey came about only when he was Vatican’s ambassador to the country. It was pack-up time at the prestigious Galatasaray High School, and suddenly Istiklal Avenue was swamped with children. Founded in 1453, it is Turkey’s oldest high school, and entrance is restricted to the best of the best; this was evident by the well-groomed and disciplined students, even when out of sight of their hard taskmasters. 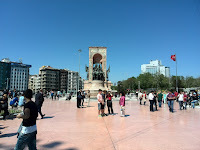 Our walk terminated at Taksim Square, the central point of the city, and the hub of its transportation system. Taksim or ‘division’ is named after the water distributory system of the late Ottoman era. Today, the square houses the famous Republic Monument crafted by the Italian sculptor Pietro Canonica in 1928. It portrays Kemal Ataturk and other founders of modern Turkey in heroic poses. Statues, as most people might know, are not at all kosher in secular Turkey. The square was encircled with the Turkish flags called al-bairak (the red banner), giving the whole area a festive air, even though it was no national day. Display of al-bairak is a national fad indulged in with a passion by the Turks. During political rallies, mass meetings of activists, and Republic Day celebrations, the square is awash with national flags and banners of all kinds. There have been some violent protests in recent times, but we were lucky to find a placid environment to relax after a hectic day. The cleanliness of the area was as much a reflection of the efficient municipality, as the discipline and fastidious nature of the Turkish people at large. The three cadets were very pleased that I had thoroughly taken to the city in which their Academy was located. They were also excited to have visited Chelebi’s launch pad that had him soaring, and they looked forward to be up in the air one day, soon. I assured them that it would be a good pretext for me to be in Istanbul once again to watch them soar high. From Galata to Uskadar next time! This article was published in the daily newspaper The News International on 8 Nov, 2015.